Puerto Rico is a unique place. It is the only United States territory with Spanish as its official language. It also has a rich history and beautiful Spanish colonial architecture given its past as a colony of Spain. Puerto Ricans are proud people who warmly embrace visitors and demonstrate Caribbean hospitality. Puerto Rico is also very much part of the United States so your ESTA authorization will allow you to visit this Caribbean tropical island paradise. 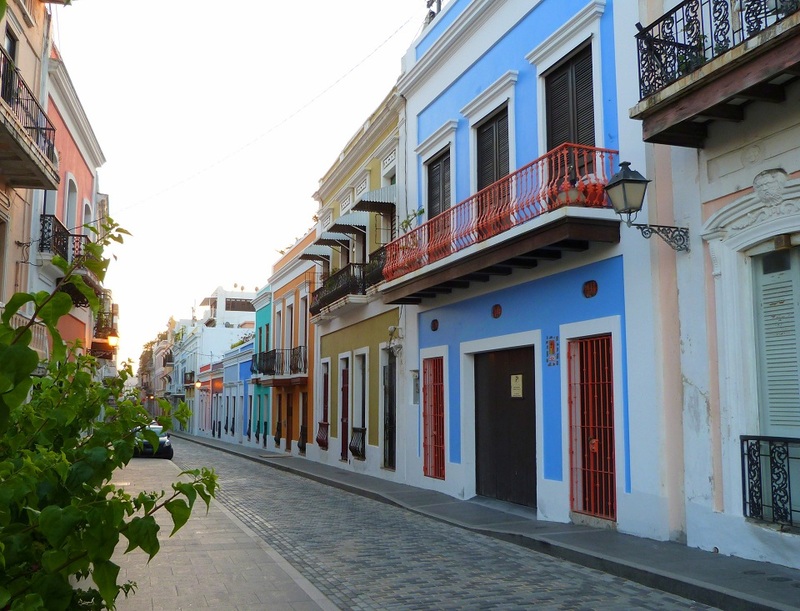 For visitors, the first point of entry to Puerto Rico will be San Juan, the island’s capital. San Juan was founded in 1508 by Spanish explorer Ponce de Leon. The city has a population of just under 400,000 people and is buzzing with energy. Most visitors will start their visit of San Juan in Old San Juan. Old San Juan is the Spanish colonial core of the city. Buildings in Old San Juan tend to have Spanish tile roofs, forged iron balconies and streets are paved with cobblestones and are generally very narrow. Major attractions in Old San Juan include the forts that were built by the Spanish settlers to defend the city from pirate attacks. The most famous of these are the 16th century Fort San Felipe del Morro and the 17th century Fort San Cristobal, both part of the San Juan National Historic Site. Many visitors coming to Puerto Rico will be focused on the island’s famous beaches. San Juan has two very nice beaches in Condado and Isla Verde but the island’s postcard-pretty beaches are found outside of San Juan. Boqueron Beach on the southwestern corner of the island, offers calm waters with palm-fringed white sand and is perfect for families. For people interested in surfing, Rincon Beach, in the northwest corner of the island, offers excellent waves and excitement. Located only 30 miles east of San Juan, Luquillo Beach has a crystal clear lagoon that is edged by a coconut grove. Its white sand beaches are a photographer’s dream. Luquillo Beach is also close to one of Puerto Rico’s greatest treasures: El Yunque National Forest. El Yunque National Forest is located in northeastern Puerto Rico about an hour’s drive from San Juan. El Yunque is the only tropical rainforest in the United States National Forest System. High yearly rainfall in the park creates a jungle-like setting with numerous rivers, waterfalls and lush foliage. There are amazing views from the top of the park, Pico El Yunque. El Yunque National Forest has also amazing flora and fauna some of it unique to Puerto Rico. There are several types of frogs, including the coqui which is endemic to Puerto Rico. Puerto Rico is a compact island with good infrastructure so traveling across the island is fast and hassle free. Do try some of the delicious local food and drink when you visit. Puerto Rico’s most famous dish is the mofongo, a fried plantain-based dish. The Piña Colada was invented in Puerto Rico in the 1950s. With good food and drink, amazing beaches and beautiful colonial architecture, Puerto Rico will please everyone traveling here. Get your ESTA authorization today and enjoy this tropical island paradise and experience a unique territory of the United States.